Pā‘ao (CA 1300,) from Kahiki (Tahiti,) is reported to have introduced (or significantly expanded) a religious and political code in old Hawai‘i, collectively called the kapu system. This forbid many things and demanded many more, with many infractions being punishable by death. Anything connected with the gods and their worship was considered sacred, such as idols, heiau and priests. Because chiefs were believed to be descendants of the gods, many kapu related to chiefs and their personal possessions. Certain objects were also kapu, and to be avoided, either because they were sacred or because they were defiling. Seasons and places could also be declared kapu. Certain religious kapu were permanent and unchangeable, relating to customary rites, observances, ceremonies and methods of worship, and to the maintenance of the gods and their priests. They were familiar and understood by all, having been practiced from childhood. Civil kapu were more capricious, erratic and often temporary, depending on the whims of the chiefs and priests. The Hawaiian kapu can be grouped into three categories. The first evolved from the basic precepts of the Hawaiian religion and affected all individuals, but were considered by foreign observers to be especially oppressive and burdensome to women. A second category of kapu were those relating to the inherited rank of the nobility and were binding on all those equal to or below them in status. This system, a “sanctioned avoidance” behavior conforming to specific rules and prohibitions, prescribed the type of daily interactions among and between the classes, between the people and their gods, and between the people and nature. By compelling avoidance between persons of extreme rank difference, it reinforced class divisions by protecting mana (spiritual power) from contamination while at the same time preventing the mana from harming others. These kapu posed enormous difficulties for the high Ali‘i because it restricted their behavior and activities to some degree. Because these kapu prohibited the highest-ranking chiefs from easily walking around during the day, some of them traveled in disguise to protect the people and themselves from the difficulties presented by this custom. The third category were edicts issued randomly that were binding on all subjects and included such acts as the placing of kapu on certain preferred surfing, fishing or bathing spots for a chief’s exclusive use. In addition, the chiefs proclaimed certain kapu seasons as conservation measures to regulate land use and safeguard resources. These had the same force as other kapu, but pertained to the gathering or catching of scarce foodstuffs, such as particular fruits and species of fish; to water usage; and to farming practices. These kapu were designed to protect resources from overuse. While the social order defined very strict societal rules, exoneration was possible if one could reach a pu‘uhonua (place of refuge) and be cleansed, as well as cleared by a kahuna (priest). The pu‘uhonua was especially important in times of war as a refuge for women and children, as well as warriors from the defeated side. This intricate system that supported Hawai‘i’s social and political structure directed every activity of Hawaiian life, from birth through death, until its overthrow by King Kamehameha II (Liholiho). Shortly after the death of Kamehameha I in 1819, King Kamehameha II (Liholiho) declared an end to the kapu system. In a dramatic and highly symbolic event, Kamehameha II ate and drank with women, thereby breaking the important eating kapu. This changed the course of the civilization and ended the kapu system), effectively weakened belief in the power of the gods and the inevitability of divine punishment for those who opposed them. 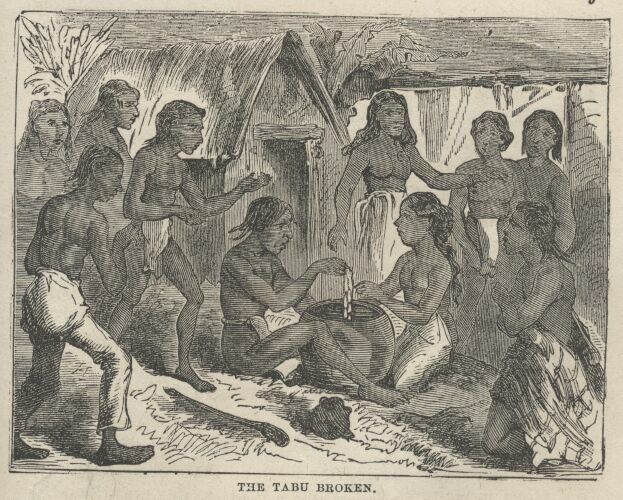 The end of the kapu system by Liholiho (Kamehameha II) happened before the arrival of the missionaries; it made way for the transformation to Christianity and westernization.